Ijen is an acidic crater lake at the top of Mount Ijen, East Java, has a height of 2368 meters above sea level with a depth of 200 meters and the area of the lake crater reached 5466 hectares. Crater in the territory of Nature Reserve Nature Trail Ijen Bondowoso, East Java. 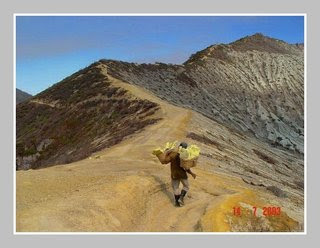 To reach Ijen, you have to down a path along the caldera cliffs. Do not forget to bring life cover because sometimes the sulfur smoke is blown through the track. You can also surround the caldera in the region which takes eight to 10 hours to reach on foot. 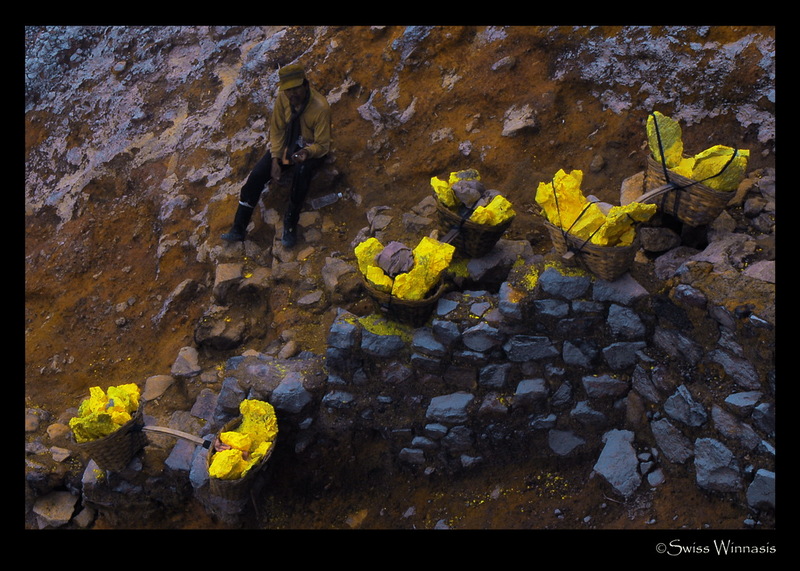 There, many miners Sulfur their activities. 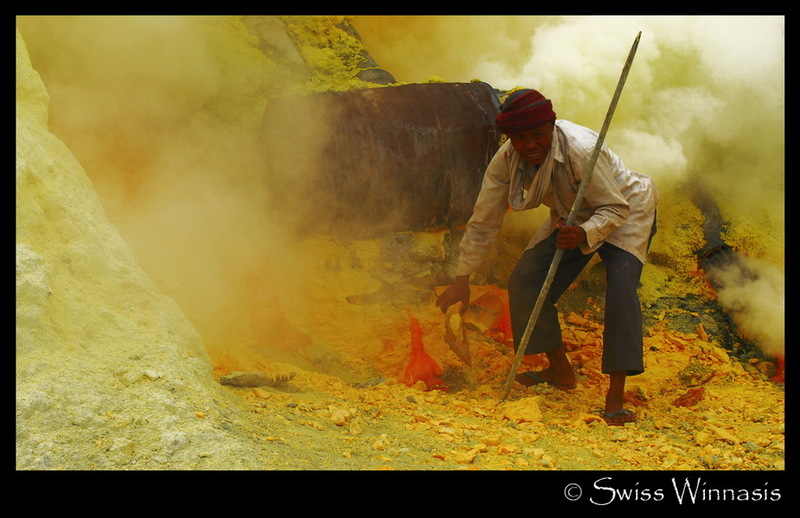 Armed with crude equipment, they try to mine the sulfur as their livelihood. Look at how hard they Sulphur mine, please refer here on.